Transport Scotland and its contractors are continuing to face major problems on two trunk roads projects just 15 miles apart. At the A82 Pulpit Rock improvement scheme on the banks of Loch Lomond work has fallen 35 weeks behind schedule while on the A83 Rest and Be Thankful the Scottish Government has had to commit a further £3m to add to the £9m already spent on tackling landslides and setting up a diversion route. Responding to a Freedom of Information request from Scottish Plant, a spokeswoman for Transport Scotland commented: “Main contract works commenced on 28 May, 2013 and were scheduled for completion in spring 2014. However, the works are extremely vulnerable to unplanned events and the nature of both the site and the works limits any potential for increased labour/plant and concurrent working. 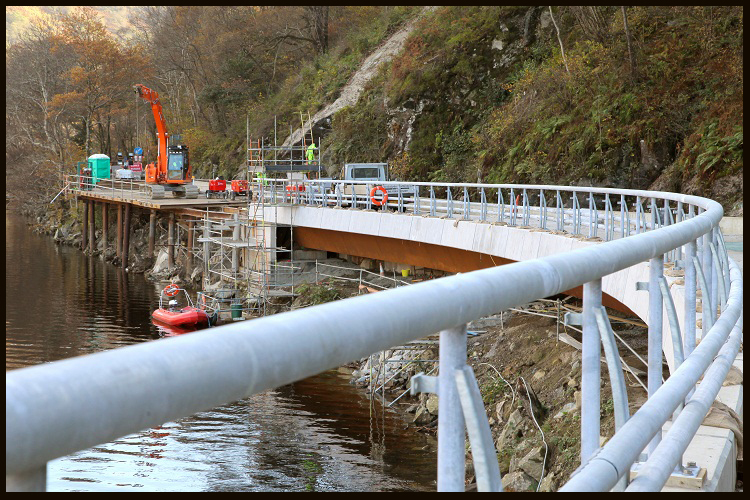 Meanwhile, difficulties continue on the A83 Rest and Be Thankful where work over a number of years has failed to halt the landslides that have led to road closures and delays. Transport minister Derek Mackay announced the extra £3m at last week’s meeting in Arrochar of the A83 Task Force. The extra cash will be used for landslide mitigation work in Glen Kinglas and at Strone Point corner. He also asked for further work to be carried out into what extra measures could be used to ensure continuity of access to Argyll & Bute. 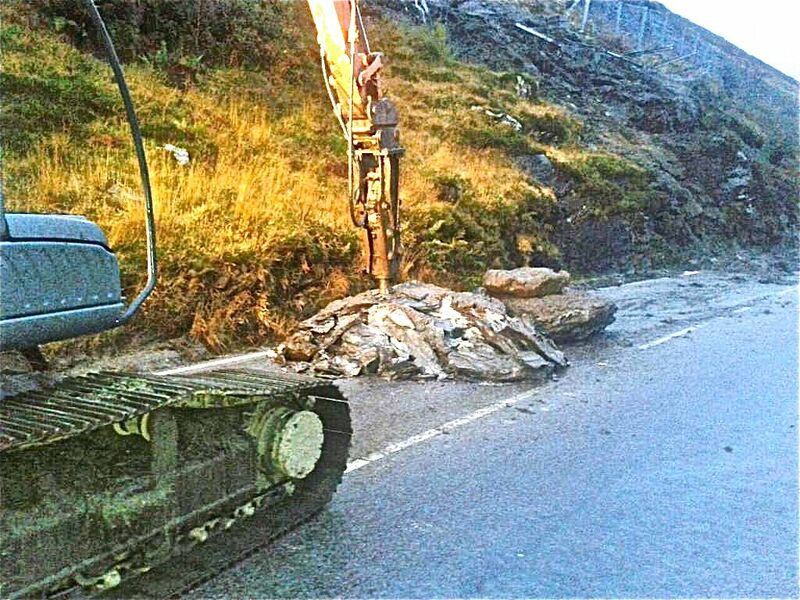 Large boulders being broken up after a landslide at the Rest and Be Thankful. Argyll and Bute Council’s depute leader, Councillor Ellen Morton, was also at the meeting and said later: “Hopefully this additional work will further mitigate against the effects of landslips. However, netting works on the hillside remain a temporary measure. Although the Old Military Road has worked well during recent incidents, carrying thousands of motorists in and out, we still need to explore options which guarantee continuity of access.